The key to success with selling your home for the most money, and in the quickest amount of time possible, is to choose a Realtor® who will have a great marketing plan for promoting your home online. In this post we will share with you several ways great marketing will add value to your home. Thanks to social media and video websites like YouTube it’s possible to use the Internet to effectively promote a home online and draw attention to all of the great things buyers will love about that home like: bedrooms, bathrooms, square feet and more. Effective online marketing includes having professional pictures taken of the home including video for video tours and lead capture forms to generate leads from interested buyers. 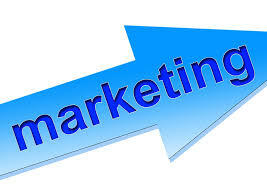 With great marketing you will also be able to more effectively attract the attention of the right buyers who would be interested in buying your home especially if your house has special features that would be of interest to some buyers like: an extra bedroom for an office or yoga studio, plenty of yard space, close to schools or walkable to stores and shops in the area. One of the great things about the Internet is that when you promote a home online on multiple websites like Zillow, Trulia and Facebook plus combine those marketing efforts with paid ads or extra promotion there’s a better chance of increasing the interest and offers for that home from buyers compared to just placing a for sale sign in the front yard to a home or a few advertisements in the newspaper. To learn more about how great marketing will add value to your home contact Fred Sed Realty today by calling us at (800) 921-9231, connect with us through our website or on social media.